The nature of the live music scene in Houston with urban music is funny to see to say the least. The wavering fan-base that some acts carry into the city doesn’t necessarily fill up the whole space, but it’s certain anomalies who come in and sweep the wave of influence they been delivering to the rest of the country while on tour. 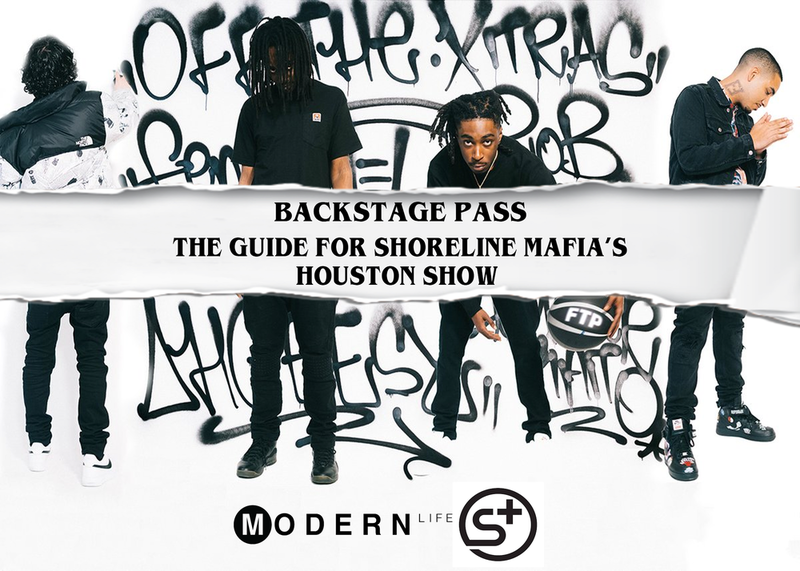 You clearly see this with California based collective, Shoreline Mafia. The group of musicians consist of four members, Master Kato, OhGeesy, Rob Vicious, and Fenix Flexin, but the nature of the collective filled with nothing but family + friends in the midst being around one another. The strong kin between all of them is resonated in their music and energy because it’s a “All For One” type of attitude brought up in their representation. This unique asset of pulling together the efforts of bringing forth the new LA sound allows to dominate a space that needed to be filled to resonate with the younger generation of people growing on the west and beyond. The bountifulness representation of different cultures in the group also shapes what fans can relate to as well. The Tanning of America is in full effect and to see a group of musicians who reflect that goes to show how forward thinking Shoreline in terms of their music and their larger message of bridging the gap on all ends. What makes the Houston stop so significant is the way the boys appreciate the culture of lean and maximizing it in the highest degree possible. That being said, coming to the “Land of Oil”, will be a way for fans and for them to essentially tap into the Texas culture in a real life experience that can expound their thinking while on tour. The good folks at Scoremore helped by not only giving Texas a look at Shoreline only in Houston, but there will also be tickets available in Dallas and Austin, make sure you get them if you miss this show!